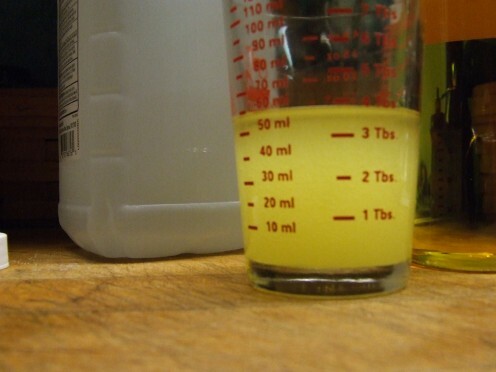 Save Lots of $$$$ and Make your own Liquid Laundry Soap. Make Your Own Liquid Laundry Soap (for 2 adults,) for under $20 a YEAR! 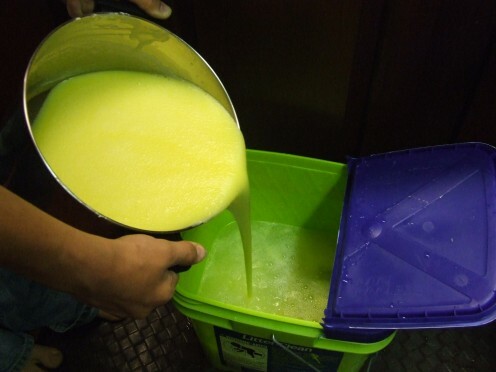 Save Hundreds of Dollars a Year by Making Your Own Liquid Laundry Soap. --I saved the tiny remains of bar soaps for years, in an empty mayonnaise jar. Every now and then I took out the jar and thought... "What can I do with all these tiny things?" One day I put the contents of the jar in a sauce pan, added water and melted the soap. ( I was living in an apartment and had to use the washer/dryer that was located in the basement of the apartment building.) I stirred the soap until the soap was melted, however, there were too many lumps that did not dissolve, so I mashed them with a potato masher and that seemed to work OK. I let the mixture cool and then took it down to see how it would work on a small load of laundry. The mixture had a nice scent and did clean the clothes but some of the white clothes weren't as clean as I liked them to be. It took me a few more years, experimenting to come up with a method that worked the way I wanted it to. In another jar of tiny bar soap remains, that I was collecting, I had a small bar of Fels- Naptha soap that I used for many years to rub on stains before I put the stained item into the wash. It worked ALL THE TIME. So I went out and searched the grocery stores for a bar of Fels-Naptha Soap. (This is the bar soap that our Great-Grandmothers used on their Washboards.) I was so grateful that the Dial Company still made Fels-Naptha Bar Soap. It cost around $1.62 including tax for a 5 1/2 OZ. Bar. Being a big fan of Borax and Arm and Hammer products helped me improve the liquid laundry soap. I used Borax in every wash load, however, the powder didn't always dissolve. I used Arm and Hammer Super Washing Soda powder for washing white clothes because I didn't like bleach. After shaving down a bar of the Fels-Naptha soap, melting it in water on the stove I started to add the borax and washing soda. The mixture was too thick. So I kept adding more and more hot water, until I was filling an empty Joint Compound bucket that made enough liquid laundry soap for 2 people that lasted for 3 months! The savings were amazing... It only cost under $20 for Liquid Laundry Soap for 2 people for the entire YEAR! --I start from the smaller end of the bar because when I tried the longer end I found that the soap was falling all over the place. Like I said, it should only take you about 10 minutes to grate the entire bar. 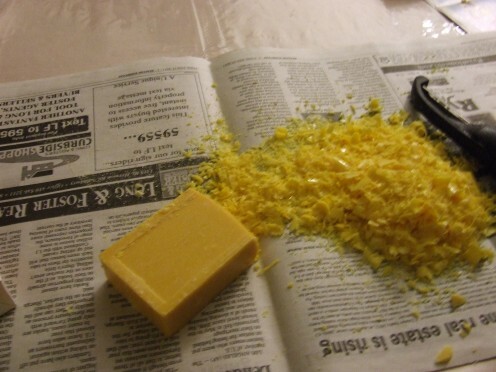 I grate the soap into a basin or on some newspaper, when my husband is watching a cowboy show, (I can only take so many cowboy shows, seems like the same story with different actors most of the time.) I always grate the soap the day before I want to make the laundry soap. Step 2. In a 6 quart dutch oven (or sauce pan) put 1 gallon of very hot tap water. 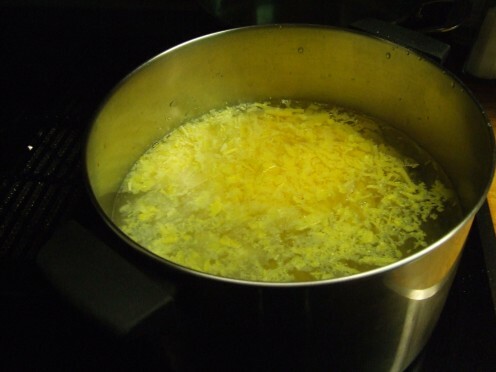 Add the grated soap, Put the heat on Med./High on top of the stove. Step 3. When the soap is dissolved, add the Borax and Super Washing Soda. Stir until dissolved. Step 4. In a 5 gallon bucket add 3 gallons of very hot tap water. 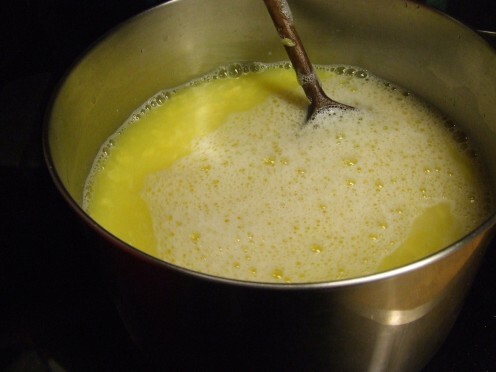 Then add the soap mixture form the stove. Fill the rest of the bucket with very hot tap water. Leave 2 inches of space between the top of the bucket and the lid. *(At this point you can add a mixture of alcohol and essential oil but this is optional.) Give the bucket a stir with a large clean stick or spoon. 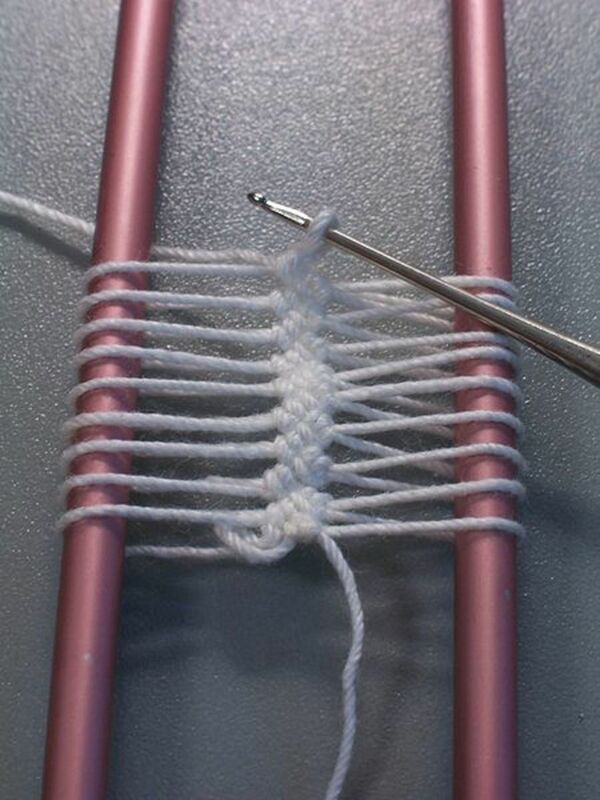 About 10-15 stirs should do it. Put the lid on. Wait overnight and the next day the laundry soap should have a gel texture. You can adjust the amount of borax if this is too thick. The borax is what makes it gel up. 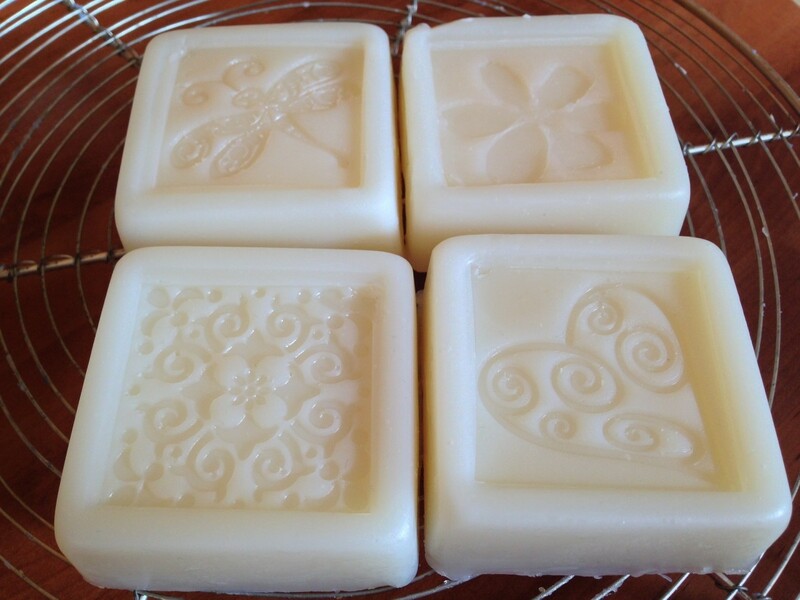 *You can even use vanilla, coconut, almond or any other food extracts to the final step if you want to use up some extracts that have been hanging around in your baking closet to give the soap a nice scent. I give my homemade liquid soap away for gifts and do not use any essential oils or extracts because it has a nice, clean scent all by itself. Start saving Money, Time and Your Aching Back! It's true... we only spend under $20 for the whole YEAR on Laundry Soap. I use 1 Cup for Regular Wash Loads and 2 Cups for Heavily Soiled or Large Wash Loads. This Soap is SAFE for Septic Systems and those NEW Front Loading Washing Machines. Adjust the amount of soap you use because all washers vary. Just think... No More Lugging those Jugs of Laundry Soap up and down steps or in and out of the car any more... Your Back Will Thank You. My meatless pinto bean recipe will put a smile on the bean lovers in your family. 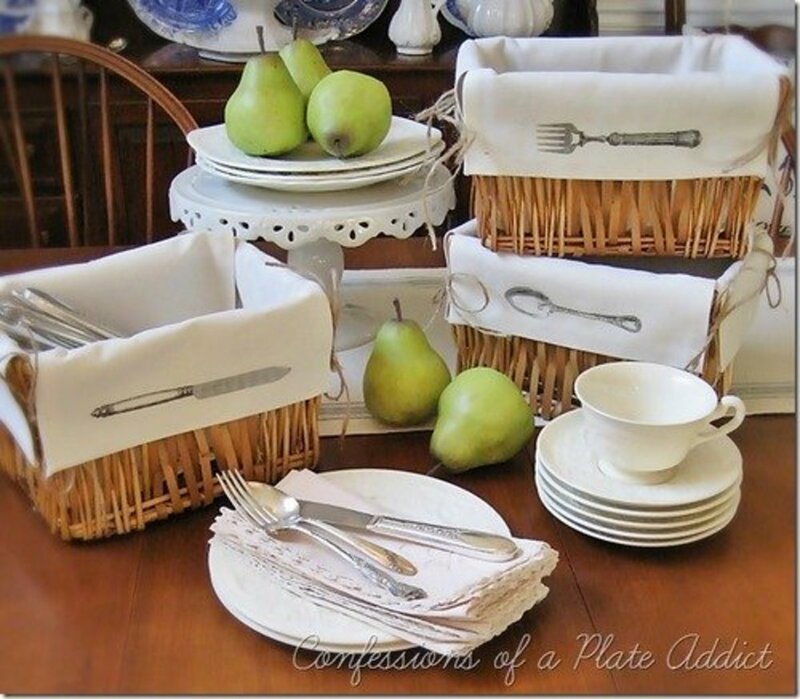 It will also be welcomed at any picnic that requires you to bring a covered dish. Give my recipe a try and make the world smile! Try my cherry pie filling barbeque sauce and left over ham packet sauce and then watch your family or guests smile at the wonderful barbeque ribs that you serve at the next gathering. My Yard or Garage Sale steps will help you have a successful sale, every time you have one. Make Free Pot Scrubbers out of Recycled Fruit and Vegetable bags. In just four steps you can make pot scrubbers, easily. You will never buy a sponge again. 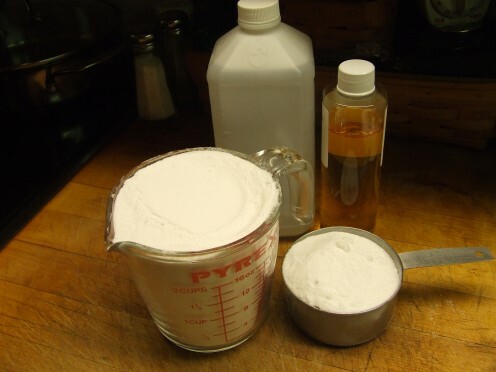 Low Cost, Homemade Fabric Softener in 5 Easy Steps. Everyone I teach how to make this money saving homemade fabric softener never goes back to buying the store bought brands. There is nothing better than finding things at your fingertips! Organizing your life in a simple manner will save you time, money and energy. Try my 8 easy steps to help you organize your life. ChristyYeah! I am so glad that you made this just so you know, you can substitute the criitc acid for lemonade Kool Aid that is what I do makes it even LESS expensive!! I also put white vinegar in my rinse agent area instead of Jet Dry other than the initial fill, you never smell the vinegar. Hi Scotties-Rock: The liquid version can be jell like. I love the liquid laundry soap. My husband takes the bar of soap and runs it over with his truck a few times. It saves me the grating step. I just started making our own homemade laundry detergent too. It has awesome cleaning power and a wonderful fresh scent. I have only made powder, but now I will have to try the liquid version. Does it clump when it is stored? 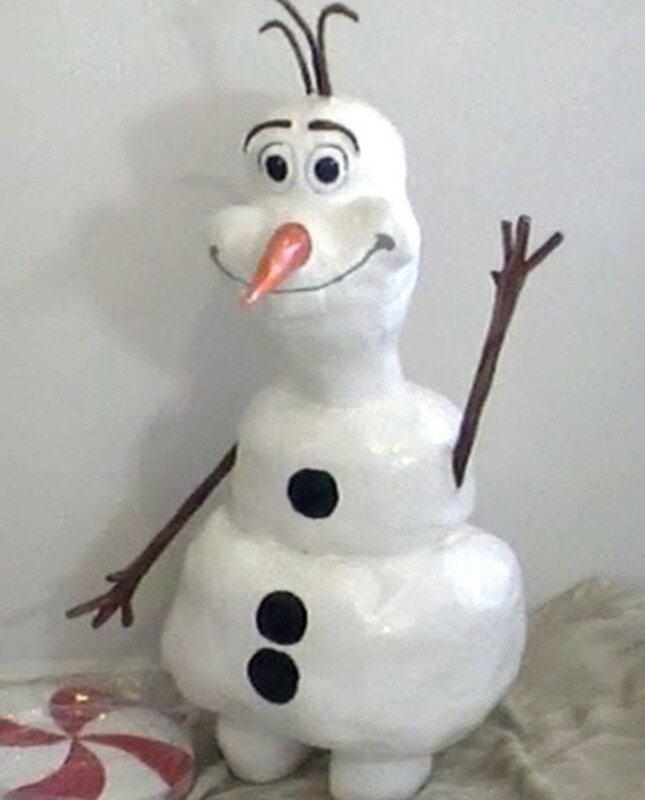 Hi A. Epps: You are very welcome! Good to hear from you. me a bundle! Thanks Fran! Hi truelectronics: My husband recently made the process even easier. He put the bar of soap in a zipper bag and ran his truck over it... worked well, no more using the vegetable peeler anymore! 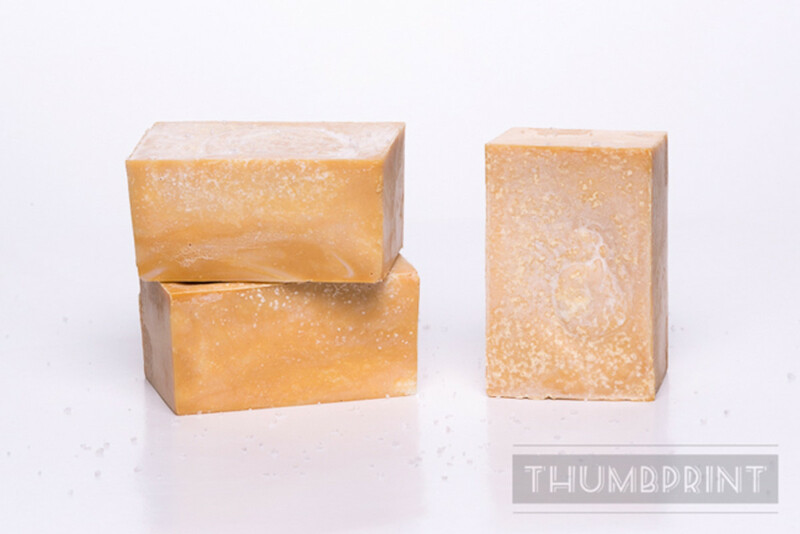 Very good, ,aking your own soap is better that the norm at the supermarket. I recently started to buy handmade soap and its a great invesment , thanks!! I tried this and it works. Thank you so much. HE washer/dryer so this project was perfect for me! Now I can spend the money on other things beside laundry detergent! Yippppeeee!!!! Detergents can be pricey! This method really works and cleans better! I'm going to help my mother make your soap recipe. This could save us a lot of money! Great idea! You're an inventor!! This would be a great family project. You can get your children involved and tell them that the savings could be used for a family night out or for a stay-at-home ice cream party! It is easy DeborahFantasia. You can do this in 30-40 minutes. I usually grate the soap in the evening when we watch a little television. That takes about 10 minutes. Then the next day I put the rest of the recipe together which takes about 20 minutes. Dear naturegirl7, you can make this in a dry recipe. 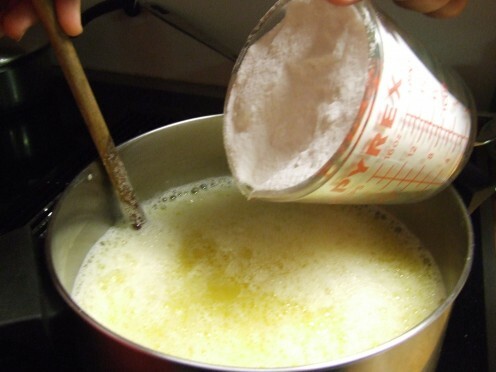 Just grate the bar of soap and mix it in with 1 1/2 to 2 cups of borax and 1 1/2 to 2 cups of Super Washing Soda. Mix it together real well and use about 1/2 cup for a regular wash load. Very interesting and useful hub. I don't use liquid laundry soap, but I may give your recipe a try.